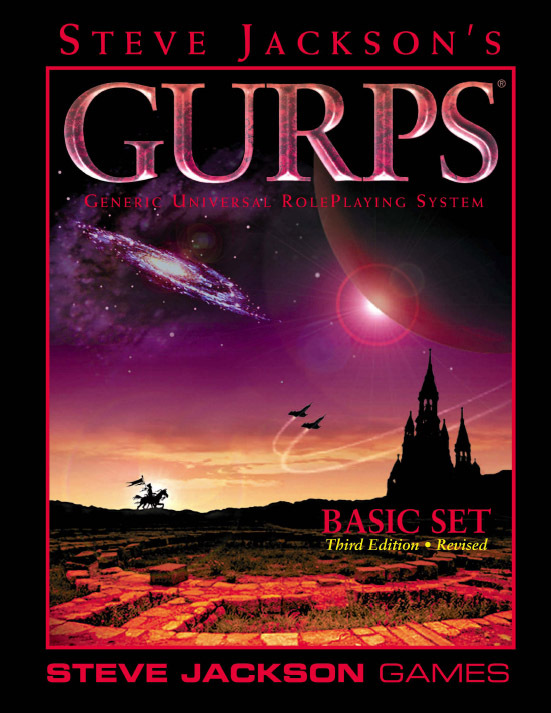 Adventure in any world you can think of, with GURPS, the Generic Universal RolePlaying System – the most flexible roleplaying system you can use. If you haven't yet upgraded to the Fourth Edition . . . you're a completist . . . or you're looking for a dose of nostalgia, here's the previous edition! It's easy to learn – you can jump right in with quick-start rules, pre-designed characters, and an easy-to-play solo adventure you can download for FREE! The Basic Set is designed to be "Game Master-friendly," with Table of Contents, Glossary, Appendix, and Index, as well as lots of examples. The current version of the Basic Set is the Fourth Edition. Caravan to Ein Arris is a great introductory adventure to the GURPS Basic Set, Third Edition. And you can download it for FREE! It's also available with updated stats for GURPS Fourth Edition. GURPS Lite – A 32-page distillation of the basic GURPS rules. It covers the essentials of character creation, combat, success rolls, magic, adventuring, and game mastering. Appendix to the Basic Set, Third Edition. The Basic Set Third Edition includes an adventure called "Caravan to Ein Arris." In the Revised Third Edition, we dropped this adventure to add 18 pages of new advantages, disadvantages and other information. For those who have older books with the adventure, here's the Appendix. This is also available in ASCII and ZIP archive form. Generic human body outlines to help you visualize your characters. 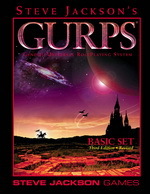 See what they're saying about GURPS Basic Set, Third Edition.